Thanks for the bug report. This particular bug has already been reported into our bug tracking system, but please feel free to report any further bugs which you find. although I have a folder highlighted and some pics are actually stored in there, gthumb reports this non-sense "no pictures" ("nessuna immagine", in italian) message: I'll have to chdir to the folder (by dclicking it) to actually get the previews, then I'll have to dclick on .. if I want to go on browsing the other folders... what could be accomplished by ONE click actually takes TWO DOUBLE-clicks! I agree, this is indead very annoying and not consistent with the way for example Nautilus works. Even after working a considerably amount of time with gThumb, I cannot get used to this. Also, the mentioned bugreport http://bugzilla.gnome.org/show_bug.cgi?id=302704 has something to with a proposed workaround: display some (selected) thumbnails. Though it's releaving the problem, the cause stays the same: please show images of the selected SUB-folder, this is the one BELOW the gnome combo-box. 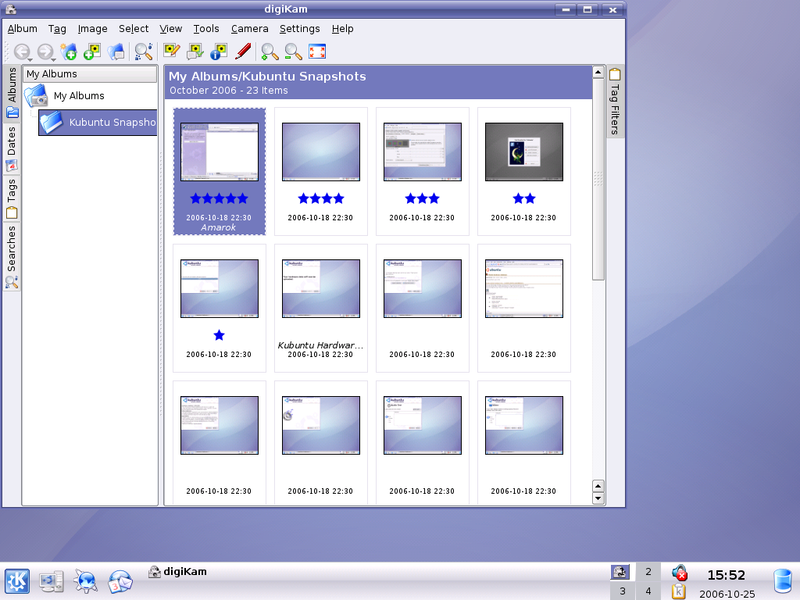 The attached screenshot is showing what is wanted: on the left (file browser) it's sitting on the FOLDER 'Kubuntu Snapshots', on the rights it's showing contents of that folder. This seems to be fixed in the latest 2.13.1 gThumb as found in the Natty repositories, at least as far as I can understand what the original bug report refers to. Also I don't think it's the same as what the gnome bugzilla #302704 bug is referring to. That seems to be asking for image previews in the folders icons themselves.